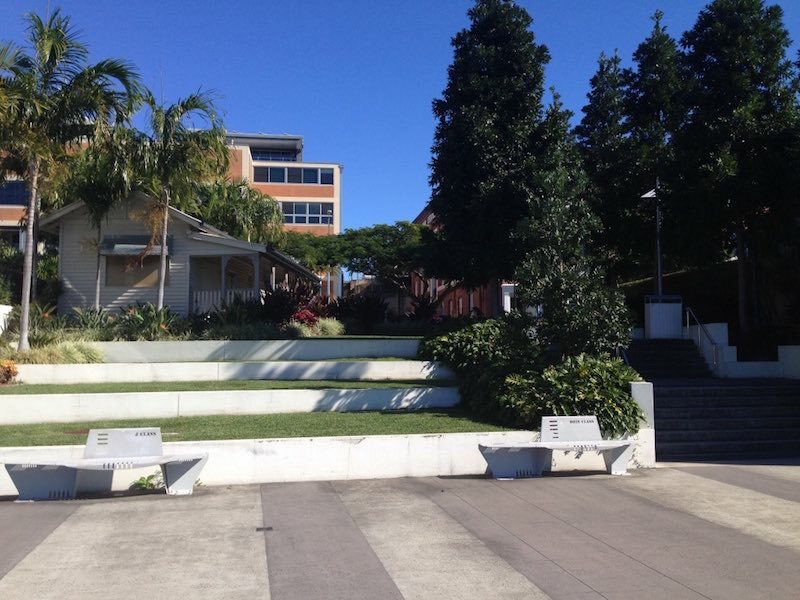 Next time you visit the former Wool Stores at New Farm for a meal, it’s worth making a visit to the small riverbank park opposite Hastings Street to reflect that during World War II, New Farm housed a major US submarine operation and maintenance Base. ‘New Farm Wharf became one of the largest US naval bases in the Southwest Pacific area, with the total of 79 submarines, which operated over a period of three years. Under the command of Gen Douglas MacArthur, Capt Ralph Christie established a forward operation and maintenance base for the US submarine task force 42 (later to become task force 72) which operated against Japanese shipping the Southwest Pacific area. The U.S. Navy took possession of New Farm Wharf and its associated wool stores on 15 April 1942; the resident unit was known as the U.S. Navy Repair unit 134. The first submarine tender to establish an operation base in Brisbane was the USS Griffin followed by the USS Fulton and USS Sperry. These tenders carried out maintenance and refits, while major repairs were performed at the South Brisbane Dry Dock. Seven submarines, based in Brisbane, where built in Manitowoc, located on Lake Michigan in the USA. The submarines travelled by barge down the Mississippi River, a distance of 2000 km before reaching the Gulf of Mexico to make the journey non-stop to Brisbane. The first submarine to make this journey was the USS Peto, which sailed on five war patrols from Brisbane. 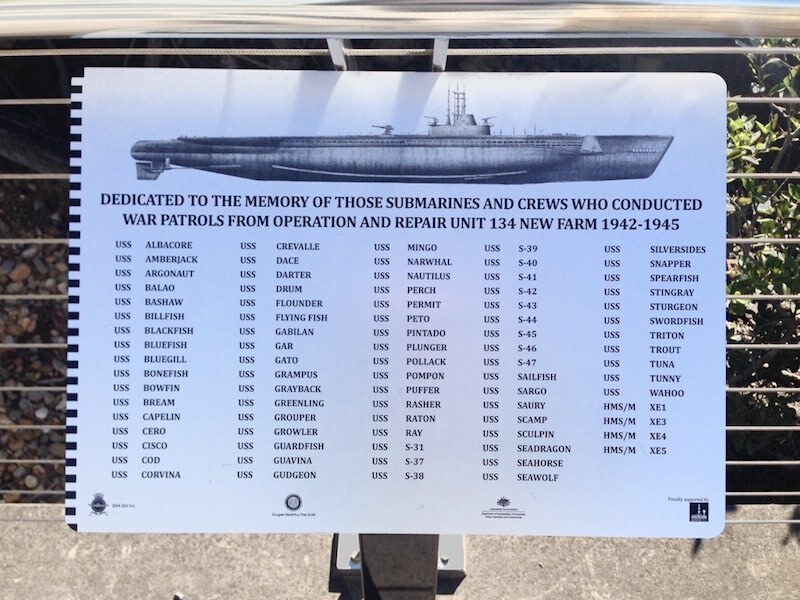 Seven of the Brisbane-based submarines were lost in the Pacific conflict, five with all hands.At any one time, they could be 800 personnel and officers based at this unit. The entrance to the Submarine Repair Unit 134 was at the southern end of Macquarie Street. The unit comprised of personnel barracks, stores, workshops, refrigeration, two-storey medical and dental building and other facilities.